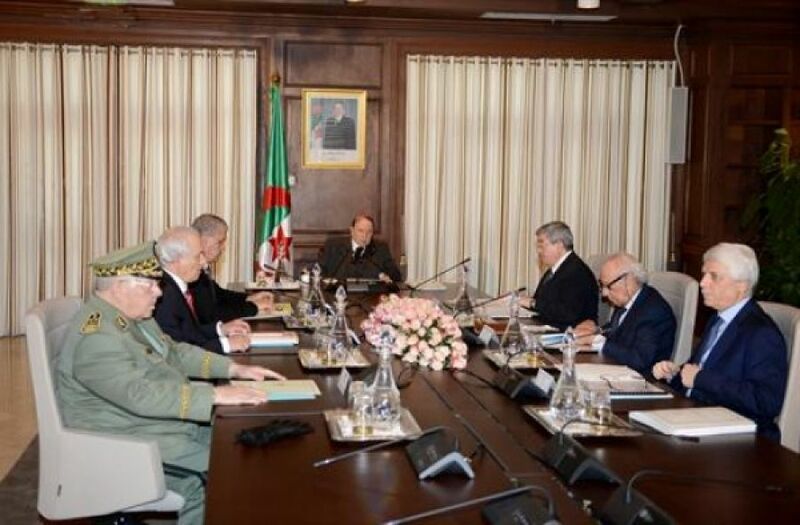 ALGIERS- President of the Republic Abdelaziz Bouteflika has "approved" on Monday, during a restricted meeting, the draft "substantial" revision of the Constitution, which will be submitted to the Constitutional Council for a reasoned opinion on "the procedure to be followed in its examination and adoption by the Parliament." According to a statement released Monday, this draft (revision) Constitution will mark "progress in several areas," including "the political field and governance." The draft revision of the Constitution will be sent "in the coming days" to the personalities, the political parties and the associations, having been consulted during the preparation phase. Also the public opinion will be "informed (about its content) via the media." The statement added that, during the month of January, "the draft bill on the revision of the Constitution will be examined by the Council of Ministers, before being submitted to the Constitutional Council which, in accordance with articles 174 and 176 of the Constitution, will give its opinion on the procedure through which, this text will be examined and adopted by the Parliament." The Article 176 of the Constitution, currently in force, stipulates "when the Constitutional Council considers that the draft Constitutional Revision does not infringe, at all, upon the general principles governing the Algerian society, the human and citizen's rights and liberties, or does not affect, in any way, the fundamental balance of powers and of institutions, the President of the Republic may promulgate, directly, the law pertaining to constitutional revision without submitting it to People's referendum if it obtains the voices of three quarters (3/4) of the members of the two chambers of the Parliament." Regarding the Article 174 of the Constitution, it provides for "the Constitutional revision is decided by the president of the Republic. It is voted in identical terms by the People's National Assembly (APN-Lower House) and the Council of the nation (Upper House) in the same conditions as a bill. It is submitted by referendum to the vote of the people within the fifty days following its adoption. Once approved by the people, the Revision of the Constitution is promulgated by the President of the Republic." This draft Revision will mark progress especially in the "consolidation of the national unity around our history, our identity and our spiritual and civilizational values ", in the" promotion of citizens' rights and liberties and strengthening the independence of justice." It will also enable advances in terms of "deepening the separation and the complementarity of powers," giving "the opposition in Parliament access to the means of assuming a more active role, including through referral to the Constitutional Council." Finally, and according to the Statement, the draft revised Constitution will enable the "reinvigoration of the constitutional monitoring institutions in the service of transparency in the national economic, legal and political fields" and the setting up of "an independent mechanism for election monitoring, in the service of pluralist democracy."